I was awarded a South African permanent resident certificate as a refugee under Section 27 of the Refugee Act. I am originally from the Congo. 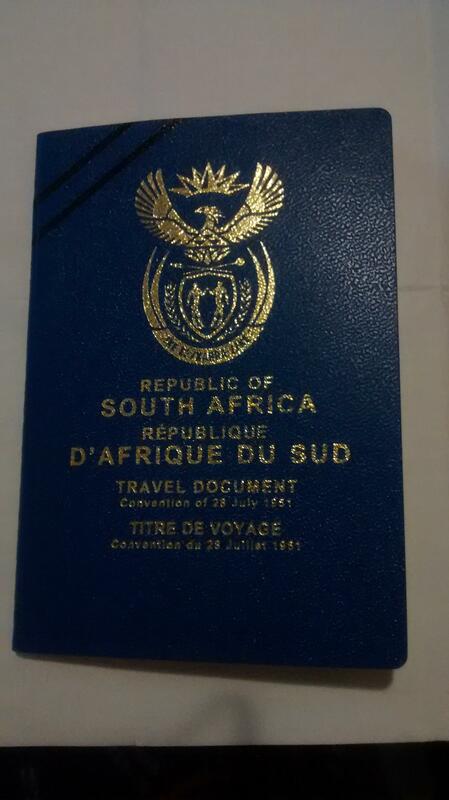 I currently hold a South African green ID book and traveling documents (in lieu of a passport). I have recently applied to France for a Schengen visa, but they've declined my application due to the travel documents. I would like to apply at the Portuguese consulate. Would it accept my documents? In the past, I have been able to travel to the US. If everything else fails, I would like to apply for a Congolese national passport. However, I'm uncertain if I am allowed to do that, given the fact that I am a former refugee. French consulate does not accept South African Refugee passport (1951), you were supposed to call them first that what I did and found out that they do not recognize it all. Not the answer you're looking for? Browse other questions tagged schengen portugal schengen-visa refugees or ask your own question. Travelling to Schengen states or North America with a New Zealand Refugee Travel Document? Can I travel to Denmark with UK refugee travel documents? Can a refugee holding a US Green Card travel to South Korea without a visa? Visit to Germany with refugee travel documents from Australia? Can I get a visa for Germany or The Netherlands if I have a South African refugee travel document?